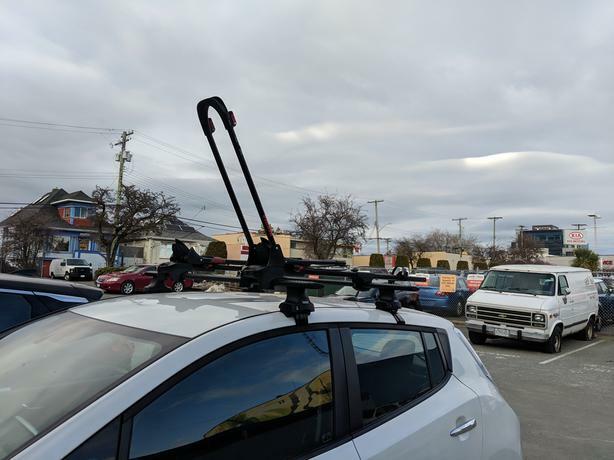 Thule aero roof rack mint condition with all locks, and 2 Yakima bike holders almost new condition. This set up would cost roughly $2000 new, selling as i'm getting another vehicle which doesn't support this set up and requires a hitch rack mount. Will help you install on your Nissan Leaf, may fit other vehicles but i'm not sure.